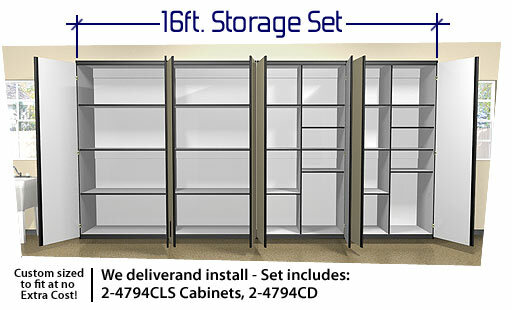 Buy cabinet sets and save! Every garage is different! 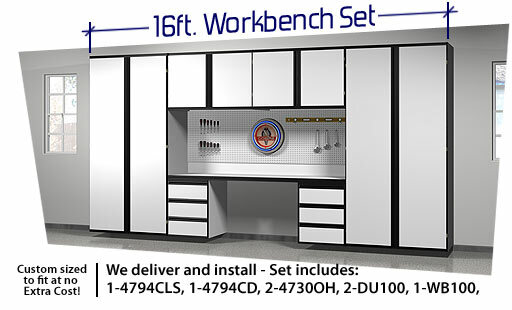 Buy these cabinet sets or have a set designed to meet your specific needs. Then select to save 15% or choose 6 month, 12 month or long term financing. Eliminating clutter can provide you with more positive feelings about your home and contribute to a more productive environment. We’re Organized can change your existing garage into the garage you’ve always dreamed of with our custom storage and work space solutions.